Recipes, reviews and recreation with the Madhouse Family - two parents, three kids, two dogs, all bilingual ! When they set off for a carefree weekend in their remote Wisconsin lakehouse, chilling out after the stress of a week at work, the couple of city slickers have no idea that they are heading towards their doom. This double murder is the element that will bring unsuspecting off-duty cop Brynn McKenzie into not just her own worst nightmare, but also a race for survival over hostile terrain. Teaming up with a female escapee, Brynn sets out into the deserted national park surrounding the crime scene, trying to make her way to safety on the highway or in a ranger's office. As well as the natural dangers of the park, coming from the cold and the landscape, the women have to outrun and outfox the killers who are ruthlessly on their tracks. It's a tense, action-packed drama, with Brynn opening up to her new protegee as their adventure continues, revealing details about her unsatisfactory relationship with her son and new husband. Brynn seems to be just like a kitty with nine lives, dodging bullets and other dangers with barely a scratch to show for them, which may not be hugely realistic but is nevertheless exciting and spine-tingling to read. It's an interesting and ruthless read, which will have you relentlessly chewing your fingernails as you progress ! I am getting quite a list of books to buy and read from your reviews! Thank you. Don't think I've heard of this book, but will keep an eye on it, it does sound riveting. 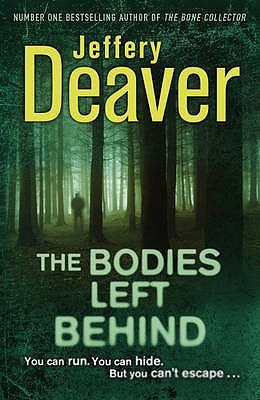 I love Jeffrey Deaver, I have this on my Kindle along with about 20 other books to read when i can find time to do some serious reading. Make tummy-fill, not landfill ! 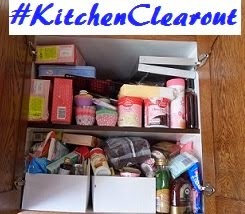 Join in the monthly #KitchenClearout linky ! Meet the Madhouse Family ! Cheryl has read 0 books toward her goal of 52 books.